Many plants that we commonly grow as houseplants in our homes are poisonous, some more than others. Some toxic houseplants that we commonly have are usually not something that will kill anyone; however, there are those with poisonous sap that can cause irritation in certain people. Shockingly, one of the most common of these are the Euphorbia. Innocent succulent novices purchase these plants in huge quantities from box stores, which don't label them to let people know that they're poisonous or dangerous. If you’re taking cuttings or repotting these, it’s advisable to use gloves, and wash thoroughly if you’re exposed to the milky latex that they exude. One problem with exposure is contact dermatitis, an itching rash on your skin. Getting the sap in your eyes can be much more serious. Cats quite often fall victim to poisonous succulent plants – they can’t resist chewing on them in an attempt to get chlorophyll to aid their digestion. In the wild, cats and other animals will find grass or other greens to eat for this purpose, but in the constrained environment of the indoors, they’ll try anything, sometimes with unfortunate results. If you suspect that your pet or a child has ingested any parts of your indoor succulent collection, please get veterinary care or medical attention immediately. Some of the consequences can be liver or kidney failure, so it’s imperative that a vet or doctor evaluates the problem. Take along some of the plant if possible to show which potential poison they’ve ingested. To avoid this problem altogether (and the heartache and anguish it entails) start some barley grass in small pots or even flats to let your pet periodically have access to some greens. They’ll thank you by leaving your house plants alone! 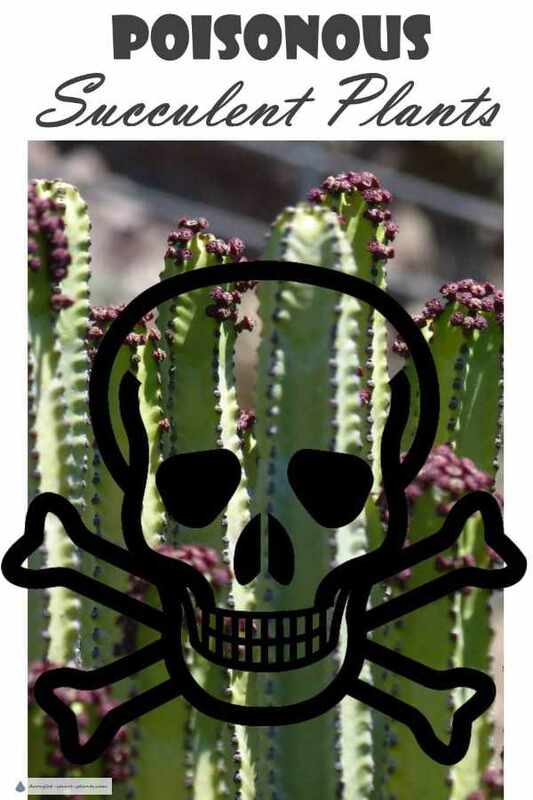 Still wanting to grow Poisonous Succulents? Pick up any parts that the plants shed such as individual leaves. Shut the door to your plant room if possible, or make sure your pet doesn’t have easy access to the plants. Keeping them up off the floor may help with small pets or children. Look for old bird cages in thrift stores and garage sales to put over your succulent house plants to keep them out of reach. Terrariums are also useful to keep plants and pets apart. See also the Pet Safety Tips here – this link will open in a new window. Sedum is generally non-toxic to pets and humans, in fact, they are known as Bittercress in some areas; I'm thinking someone had to taste it to know that it was bitter. Crassula ovata, the regular old Jade plant, is approved to have around animals, but the plant might not appreciate having bite marks in the leaves. Dogs should never be allowed to eat Jade plant - keep it out of reach. 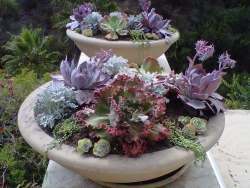 Echeveria are safe around pets and humans, although it's not advisable to eat them. They are quite often used as ornaments on wedding cakes, although organically grown plants are suggested. Sempervivum Hens and Chicks are safe to grow, and they aren't poisonous if ingested. This is not a complete list; please use caution when displaying your houseplants to make sure little mouths aren't put in danger. THE BABY ATE SOME LEAVES IS IT POISION? Is my Sedum Succuent "Pink bomb" poisonous to my pets? Will my succulent kill my cat? My hand is broke out, what is this plant? Tree like shape with small leaves, looks like a bloated plant. 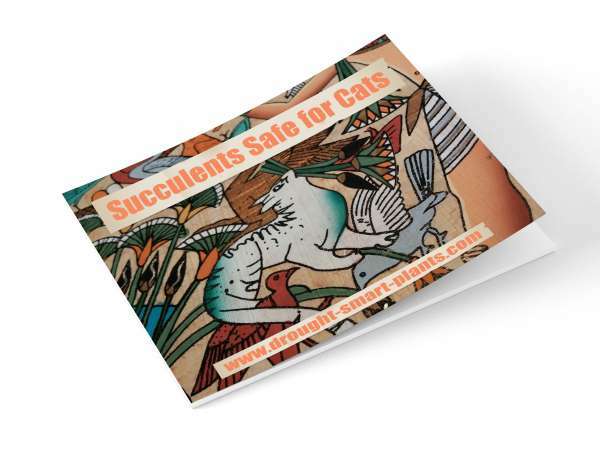 Need to find some Succulents that are Safe For Cats?